LeRoy Washburn, 84, died Saturday morning at his home in Oromocto. He was a well-known politician, athlete and university athletic director. 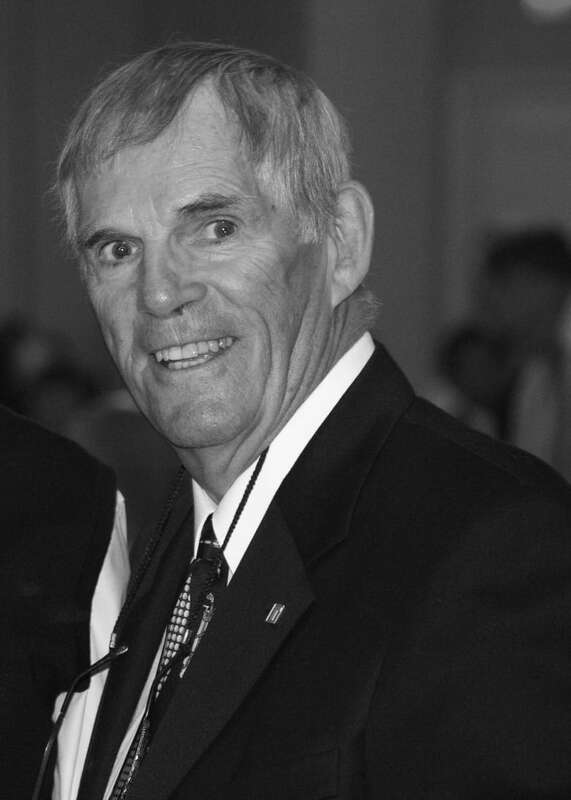 A well-known New Brunswick politician, athlete and university athletic director has died. LeRoy Washburn, 84, died Saturday morning at his home in Oromocto. Washburn, born in Blackville, leaves behind a long legacy in New Brunswick sports and politics. He was inducted into New Brunswick's Sports Hall of Fame in 1988, was the athletic director for St. Thomas University for 30 years and was a member of the New Brunswick legislature from 1974 to 1982. "He gave so much to so many," said Phil Daigle, who attended St. Thomas in the late 1980s and early 1990s while Washburn was the athletic director there. Daigle played on the university's hockey and soccer teams. Sometimes he had a game in the morning and a game in the evening in a different location. He said Washburn would drive him from one location to the next to make sure he made it there on time. When he was in the car with Washburn, "I was always just trying to absorb the words of wisdom," Daigle said. He said Washburn wasn't "one of those athletic directors who hid in his office." He said he liked to be out in the community and supporting athletics in the province. He'll always remember Washburn's encouraging attitude. "He was one of those guys that every time you walk into a room and he was there, you wanted to go shake his hand. You wanted to be around him." Fred Connors, the head coach of St. Thomas's women's basketball team, first met Washburn as a student at the university in the late 1990s. Connors was eating in the cafeteria when Washburn sparked a conversation. Connors didn't know who he was, but the two soon became friends. "That was LeRoy. He was just very personable and friendly and he cared about the athletes. He cared about the students." Washburn is known for accomplishments in track and field. 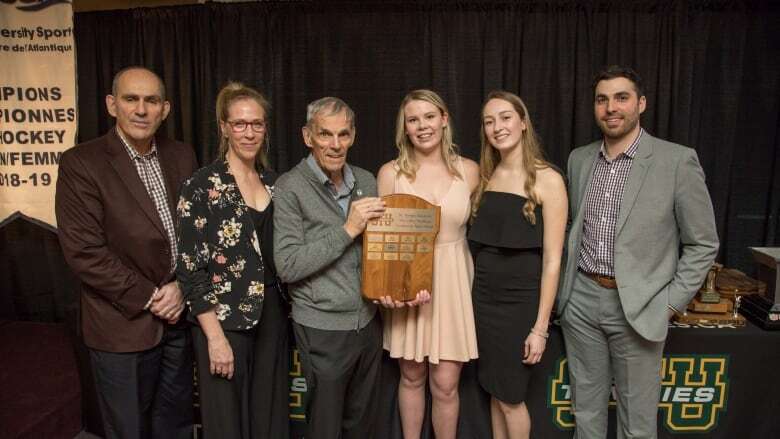 He won the overall title at the 1974 New Brunswick track and field championship, served as the New Brunswick track and field president from 1984 to 1987, and officiated track and field at the Pan American Games, Commonwealth Games and the 1979 World Cup. But Connors said Washburn enjoyed all sports and always had a smile on his face when he was watching them. "It didn't matter the sport, it could be volleyball, hockey, basketball, cricket, wrestling, it didn't matter. He was just happy to watch people be active and compete and have fun doing it." Washburn was also a close friend and mentor to Mike Eagles, St. Thomas's current athletic director. They met when Eagles began coaching the men's hockey team at St. Thomas. "We named an award for our teams [at St. Thomas] as the LeRoy Washburn Community Award basically because that's the type of person he was … he was community-minded and his sense of volunteerism and everything that you want to be as an individual," Eagles said. Eagles described Washburn as a "kind soul" who wanted to help people. "I just think the world of LeRoy, and we've truly lost someone from the community that absolutely loved New Brunswick … he will be missed for sure."